Our MFT Challenge & Inspiration Team wows each week with their creativity, but they've been inspired by all of you as well! Check out some great projects that have caught their attention so far this year. Let's take a look at six projects that were spotted by the MFT Challenge & Inspiration Blog Creative Team! Alice spotted this colorful card from Tricia Barber. Tricia submitted this card to Sketch 217. 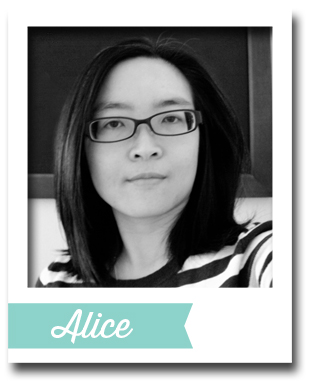 Alice says, I just love "the awesome use of colors and mix of patterns! It's so eye-catching and delightful!" 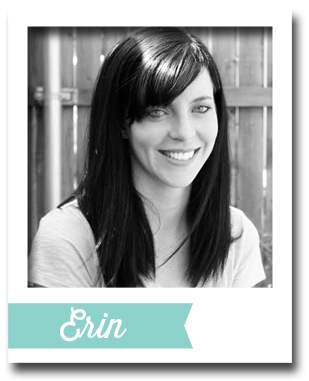 It's no secret that Erin Lee likes bold color choices! Add in a shot of metallic gold, and she is in love. 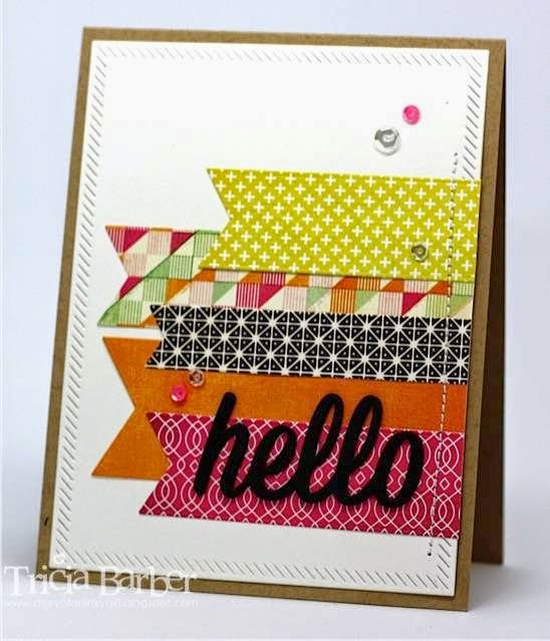 This card by Beth Opel was an entry in the MFT Wednesday Sketch Challenge #216. 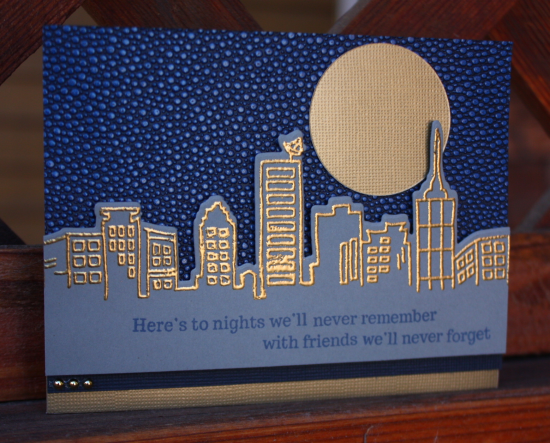 Erin says, "The gold embossed cityscape and metallic gold moon totally make this cool card shine." 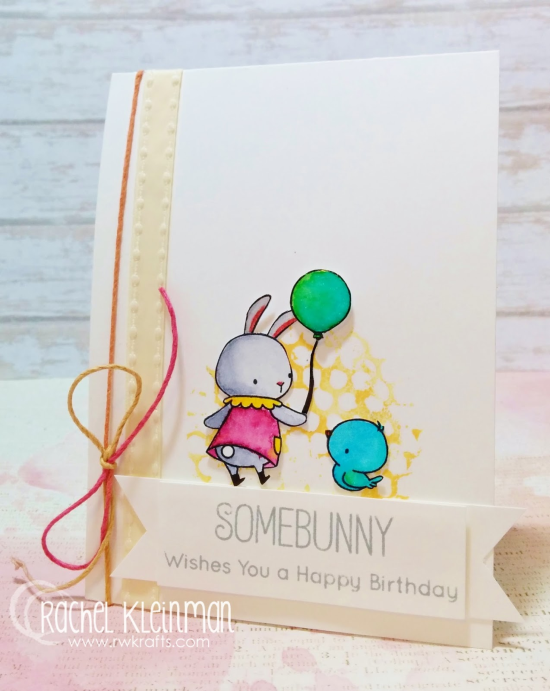 Jill loved this card by Rachel Kleinman using the Somebunny stamp set. Rachel entered this card into Sketch Challenge #215. 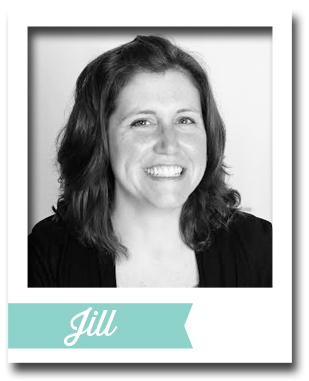 Jill says, "This is her first ever MFT stamp set--how fun is that!? ;) I like her water coloring--and really like the subtle background. Plus, it's pretty cute all together :)"
Miriam spotted Rita Wright's adorable card in the entries for Sketch Challenge #216. 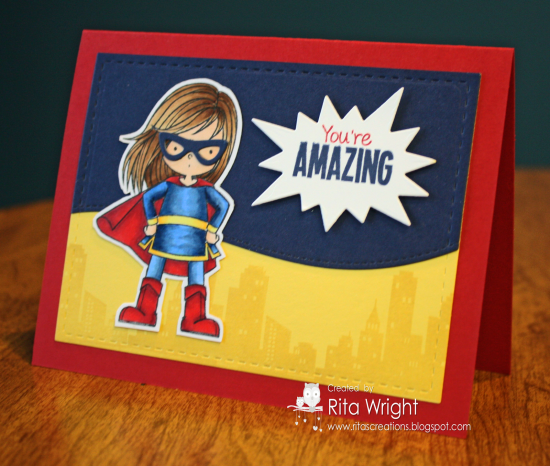 Rita used the You're Super stamp set (a must have!). 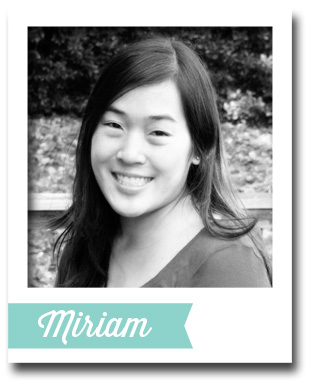 Miriam says, "Love this one: bold colors, fantastic coloring, and the subtly stamped skyline." Vera spotted Angel Rivera's card entered in the MFT Color Challenge #16. This card does double duty since it follows Sketch 217 as well! The sentiment is Clearly Sentimental about Coffee, and those Die-namics Pierced Fishtail Flags STAX that she used sure came in handy for this sketch! Vera loved how Angel "added various patterns to the banners." Veronica found this gem on Mandy LaCroix's blog. 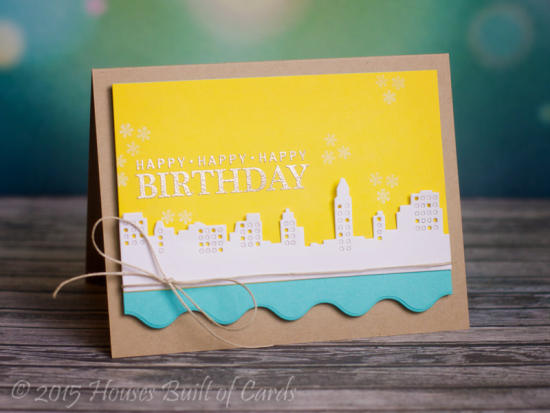 This card was a submission to the MFT Color Challenge #15. 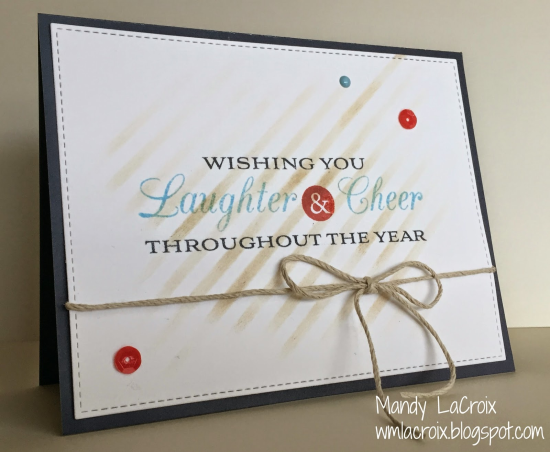 Using the Diagonal Stripes Stencil and Grand Holiday Greetings stamp set, Mandy is one step closer to having her 2015 Christmas cards completed. 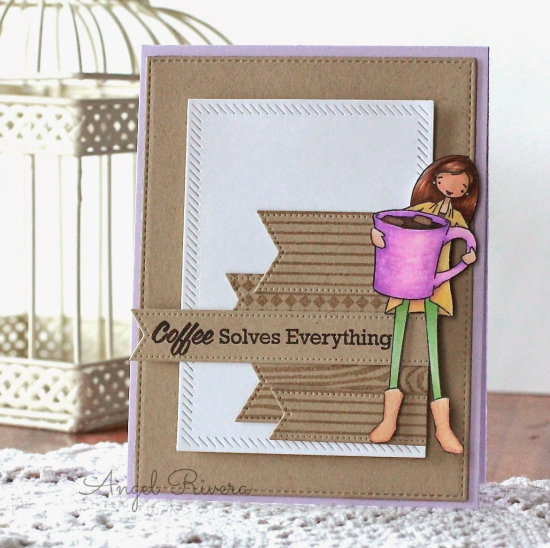 Veronica says, "I love the beautiful simplicity of this card. It is a challenge using four colors in a CAS card! I loved the subtle Kraft stenciling, and the beautiful pops of Cherry Crisp. It all came together perfectly." Thanks for playing with us, ladies! You've left us inspired, and that's what it's all about! See you next Wednesay, March 11th for the next Sketch Challenge, and look for a new MFT Color Challenge on Thursday the 12th! Congrats to all of you who have been spotted. Your creations are amazing!! I love that the design team participated in making the selections. Great idea!! 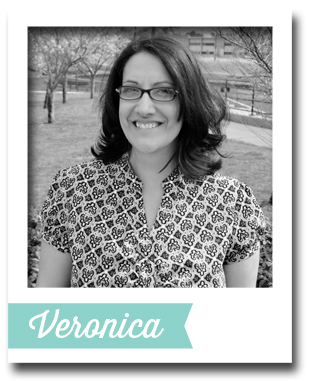 Thanks Veronica for the shout out! :) - I'm honored! and to Susan for the heads up! :) crafty hugs!! 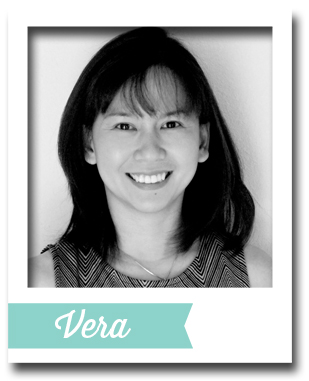 Thank you, Vera, for spotting me! :D As Mandy said, I'm honored! Congrats to all the designers who were "spotted" by the DT! And thank you Susan for leaving comments on my blog--so sweet!